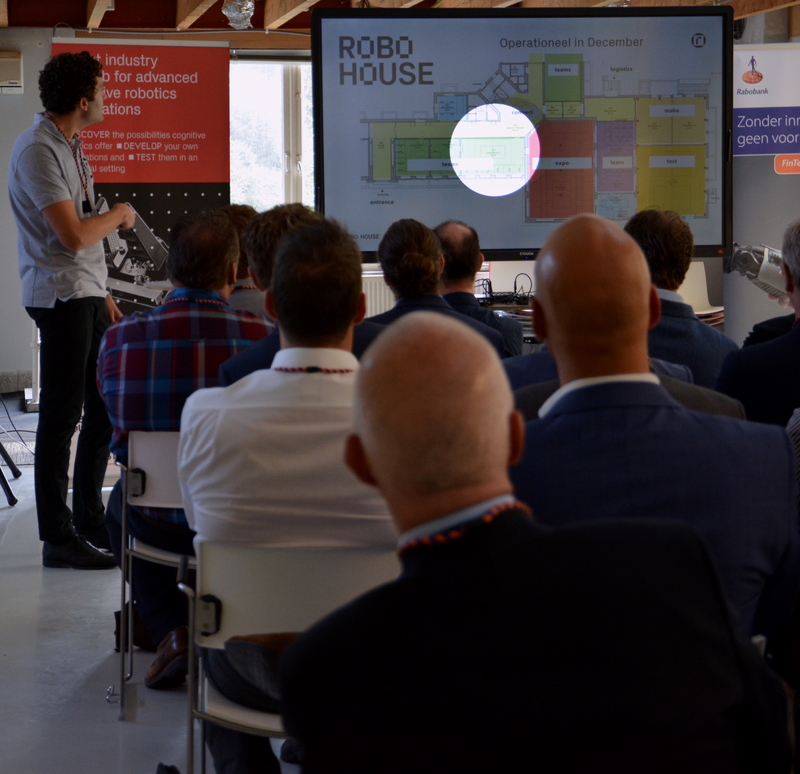 The kick-off of the Rabo Robo Challenge took place on Friday 7 September in the new RoboHouse building – still under construction – in RoboValley. Some thirty participants from eighteen companies in the manufacturing industry learned how they could make use of cognitive robotics applications. 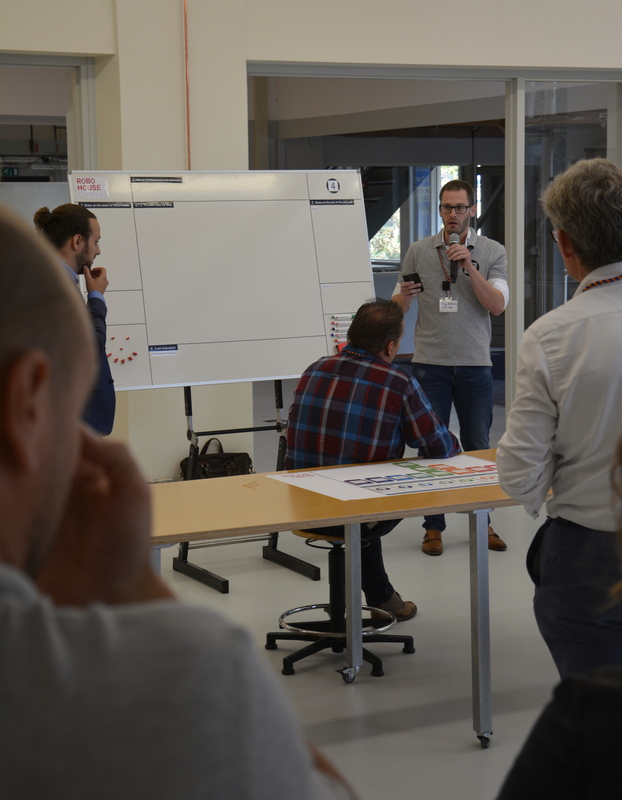 The Rabo Robo Challenge is an initiative of Rabobank and RoboValley, and was launched to help companies explore the possibilities intelligent automation offer for their organisation. During the kick-off, the participants got a short introduction into robotics and multiple presentations by Rabobank, Fizyr, Accenture and Shell. They got to work themselves in different workshops, varying from programming a self-driving vehicle to learning to understand how important it is to have a good data set for machine vision applications. Furthermore, the participants analysed existing production processes from their own companies to see how these can be automated. They used the RoboHouse Canvas: a method specially developed for this purpose. Over de next months, the participants will continue to explore which processes within their organisations are best fit for automation, together with experts and independent consultants. At the end of the 4-month programme, they receive a compact and structured feasibility report that offers concrete recommendations to get more growth by implementing intelligent robotics. Do you want to explore what robotics can offer to your organisation or lean how you could develop your own robotics? Please do not hesitate to contact the RoboHouse team via robohouse@robovalley.com or take a look at www.robohouse.nl.